McLaren's Fernando Alonso admits he misses the excitement of the Indy 500 as he prepares himself for a predictable Monaco Grand Prix. Fernando Alonso is bracing himself for a predictable Formula 1 Monaco Grand Prix weekend compared to the excitement offered by the Indianapolis 500. The McLaren driver returns for his first race around the streets of Monte Carlo since 2016, having skipped the event last year due to Honda’s lack of competitiveness to instead contest the Indy 500 in his bid to win motorsport’s unofficial ‘Triple Crown’. 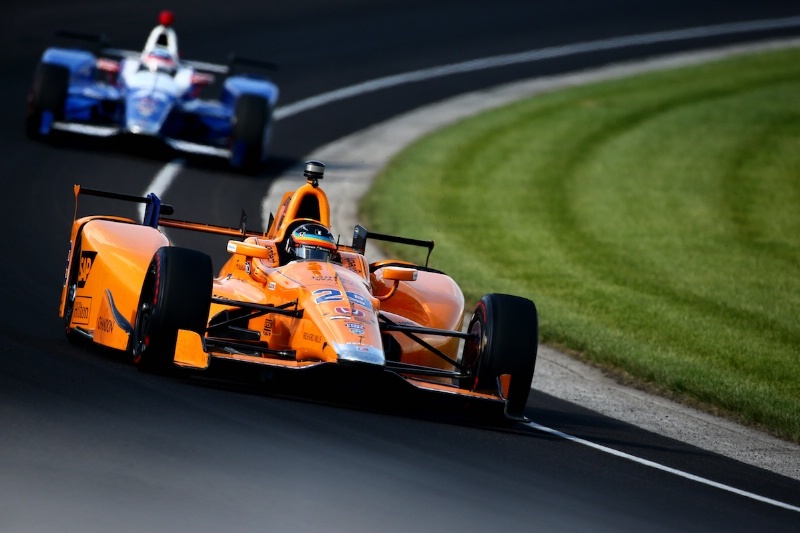 Alonso was in contention to take a stunning debut win at the Brickyard until an engine failure on his Honda-powered Andretti Autosport car resigned him to a DNF. He returned to Monaco for this year’s race following McLaren’s switch to more competitive Renault power units, which has propelled the Woking-based squad into an ultra competitive midfield battle in 2018, though the chances of Alonso gracing the podium at the principality look unlikely. When asked which event he would rather be at this year, the Spaniard replied: “I think there is time for everything. I grew up here in Europe and I grew up in a Formula 1 environment. I dreamed about Formula 1 when I was a go-kart driver and I joined F1 when I was 19 and I was battling with Michael Schumacher and I had the life that I dreamed of. Alonso suffered a disrupted day of practice on Thursday, missing most of the opening session as McLaren had to change the floor of his car after encountering a brake-by-wire problem, but he recovered to finish inside the top 10 in FP2. Heading into the weekend, Alonso said he believed McLaren could achieve as high as fifth place on the Monte Carlo grid during qualifying, though he admitted frustration that Monaco provides “no possibilities” compared to the Indy 500. “I came here [Monaco] and I didn’t miss it [Indy],” he said. “It was good last year, I had my two weeks there and probably this time last year we had finished qualifying and we were P5 with a high chance to win a race, or at least the same chance of all 33 drivers there. Is F1’s crown jewel losing its lustre?